From 1972-92, Reverend Moon invested huge resources in creating new culture. During this same period, he also invested vast resources in defeating international communism, while he simultaneously conducted major evangelical outreach efforts and established a global footprint of his movement. The foundation for each of these components was a system of thought — Unification Thought, Victory Over Communism, and Divine Principle, respectively. My focus is Rev. Moon’s strategy for creating new culture. In strategizing with God about how to usher in God’s ideal, peaceful and happy world, he determined his grand strategy would include a component focused on creating new culture undergirded by a new and comprehensive ideological framework built on the foundation of Divine Principle itself. Working directly with Dr. Sang Hun Lee, Rev. Moon elaborated upon Divine Principle to create Unification Thought to serve as that ideological framework. My windows onto Rev. Moon’s new culture strategy were, from 1972-85, working on the core secretariat of the annual International Conference on the Unity of the Sciences (ICUS), and, from 1985-2004, as editor for natural sciences of The World & I monthly magazine. Rev. Moon’s strategy had originally intended The World & I to be the vehicle for spreading new culture, as the magazine published articles written by academics and other prominent people inspired by Unification Thought. These authors were to have gained that inspiration in Unification Thought through their participation in ICUS and other conferences spun from it. One of my objectives on the editorial staff of the magazine was to assure that this pool of prepared authors became writers for the magazine. As a participant in and observer of the implementation of Rev. Moon’s new culture strategy, I was painfully aware something was awry. The ICUS conference participants loved the way our staff treated them; valued the diversity of participants and rich exchange of ideas; and, they developed warm feelings of respect and affection for Reverend and Mother Moon. They just didn’t pick up on the ideas of Unification Thought. Rev. Moon’s strategy with ICUS seemed brilliant to me. With ICUS providing travel and lodging, and additional honoraria for chairs and presenters, we could attract the highest ranks of academics, and were in a position to frame the overall thematic development in ways requested by Rev. Moon. 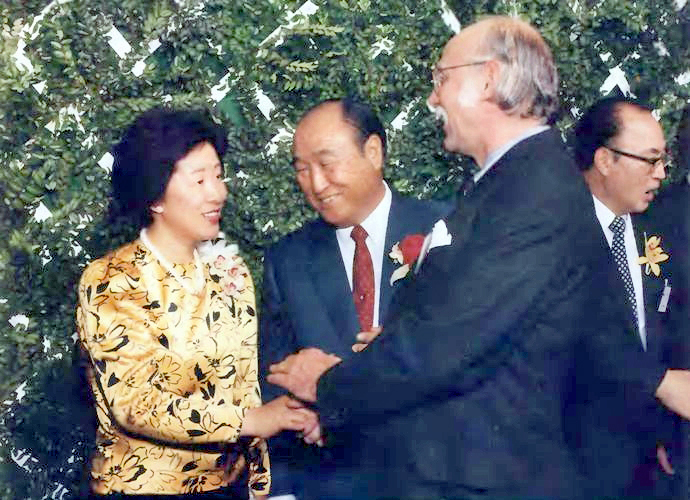 He founded ICUS in 1972 in New York with 20 participants, guided it to its peak of over 800 participants in 1981 in Seoul, then gradually reduced the size. To introduce Unification Thought into the conferences, Rev. Moon selected graduates of Unification Theological Seminary for pursuing Ph.D.’s. Once they earned their doctorate, a credential that would make them peers of ICUS participants, these Unification scholars were to write — and they did — papers showing various ways in which the ideas of Unification Thought (also called “Headwing Thought”) were related to more mainstream aspects of thought. Over two decades through 1992, Rev. Moon invested millions of dollars toward planting Unification Thought firmly in academia — not just in the sciences through ICUS, but also in the humanities, media, religion, and the arts — through affiliated conferences and programs. His new culture strategy intended for Unification Thought to gain acceptance first in the academic community — and then with their imprimatur, it would naturally spread to all sectors of society. Rev. and Mrs. Moon greet ICUS XV participants at a reception, November 1986, Washington, DC. Dr. Bo Hi Pak is at right. The emergence of Unification Thought as the undergirding philosophy of the new culture was to be further enhanced as it gained authority through overcoming secular, materialistic thought and paving the way for the unification of science and religion. In 1992, Rev. Moon implemented the climactic phase of his grand strategy for creating the new culture by simultaneously convening in Seoul contingents representing not only ICUS, but also the Professors World Peace Academy, World Media Conference, Summit Council for World Peace, Assembly of the World’s Religions, Inter-Religious Federation for World Peace, Women’s Federation for World Peace, international performing arts groups, and World CARP. Tying all these programs together with the international marriage blessing and sports competitions, Rev. Moon assembled the first World Culture and Sports Festival. By 1992, Unification Thought concepts were to have been percolating through those assembled groups. With each participant at the World Culture and Sports Festival finding meaning in Unification Thought, and coming from so many diverse disciplines, they were to have been in the vanguard of creating comprehensive new culture. “…After I received my calling at the age of sixteen, I spent the years searching for the answer to … this problem of how to bring salvation to humankind. The result of that lonely search for truth is the new expression of God’s truth that we refer to today as the Unification Principle, Godism, and Headwing philosophy. …The First World Culture and Sports Festival… is an occasion to let the entire world see, and to offer to God, the harvest reaped from the seeds I have sown and nurtured for the liberation of God and humanity and for the realization of a world of peace. … I would like to propose, so that all of our activities for world salvation can be carried out more effectively, that we establish “The House of Unification for World Peace” as a structure for the peaceful unification of the world. “…In order to restore the family that bases its relationship on false love, false life, and false blood lineage caused by the fall, we need a Blessed wedding for all the international families to participate, and through which the great blessing of heaven may be passed on to them. Although by 1992 Rev. Moon had created a vast apparatus for establishing the new culture centered on Unification Thought, he subsequently reduced funding to them until many, including ICUS and The World & I, withered away. In their place, he guided the development of new organizations, such as the Universal Peace Federation, framed to be more amenable to the goal of establishing the “blood lineage passed through God and True Parents at the levels transcending nation, race, and religions.” For such new organizations, the hope of creating new culture would lie in Divine Principle pointing to True Parents and blood lineage change, instead of in Unification Thought bridging to the mainstreams of knowledge and all sectors of society. In the 1990s, Reverend Moon apparently simplified his grand strategy from three primary components — creation of new culture; defeat of international communism; and spread of his movement through evangelical outreach — to one component: evangelical outreach. He chose in his last two decades to prioritize this aspect, perhaps because until then it had achieved only anemic results in comparison with his expectations, leaving the movement chronically short of personnel and other resources to accomplish all the providential priorities. Mother Moon has sustained this same priority when she picked up the mantle of leadership upon the passing of her husband. By de-emphasizing the goal of creating new culture grounded in Unification Thought, Rev. Moon, in effect, severed the movement’s connections with many thought leaders of society, undercutting possibilities for the Unification movement to emerge as a powerful moral force in society. That de-emphasis also extinguished in a segment of stalwart Unificationists their beacon of hope for creating a new world of God’s ideal. The absence of a clear understanding of Rev. Moon’s shift in the 1990s to pursuing the one-component, evangelical outreach strategy has likely contributed significantly toward the division of the Unification movement into the groupings seen today. Glenn Strait has worked with the International Conferences on the Unity of the Sciences (ICUS), The World & I magazine, UPF’s World and I: Innovative Approaches to Peace, and the New World Encyclopedia. Photo at top: Rev. Moon speaking at ICUS XV, November 1986, Washington, DC. Thank you for articulating what I could not readily see, as one of those “stalwart Unificationists” whose “beacon of hope for creating a new world of God’s ideal” was “extinguished” by Father’s shift in emphasis. This is immensely helpful. Glenn, I haven’t met you, but I think this is perhaps the most important article ever published through this venue. Incisive, I’d say timely, but better late than never, and eye-opening. A strategic level glimpse of our situation which until now we’ve lacked. You put into meaningful words, context and structure everything I’ve been thinking and feeling for two decades. It’s possible this change of Father’s gave dying progressive-liberalism the chance it needed, and took, to utterly subvert the last vestiges of classical liberalism and Christianity in the West. And today we’re beginning to reap that harvest as America begins a political disintegration rooted in its nearly completed cultural disintegration, its benign leadership and active participation in the world falters, and Western traditional moral behavior reaches rock bottom in terms of being thought a viable, valid, worthwhile mode of life for a majority of people. Perhaps the Millennial Generation in America, led by our 2nd Gen, will reverse that. We’ll need 10-20 years to know for sure. In the meantime, God’s most effective vehicle for his Providence — Western Christianity and America–are both confronted by anti-Providential forces neither can effectively resist without an infusion of new thought and inspriration rooted in what made them both great champions for God, yet take each to the next level. Of course, that’s Unificationism, Divine Principle and their roots in living for the sake of others. Though, if we understand Father’s rationale, then perhaps carrying on with this “lapsed” strategy may be pointless. Just saying. I definitely want to, and will, move forward in this thought progression. We 1st Gen have a duty to re-establish what our 2nd Gen needs to carry Father’s effort past our lifetimes. Now is the time, before we are overwhelmed by satanic forces and our own mortality. Father once said that if America fails, the resulting dark ages will be vastly worse globally than what the fall of Rome brought Europe. And we see it today: just as the fall of Rome and nascent Christianity saw the rise of violent Islam in an untethered Middle East, so the fall of America and nascent Unificationism is seeing again the rise of violent Islam in an untethered Middle East. The many similarities between Rome and America today are shocking and frightening and one could be forgiven for feeling it’s all inevitable and just giving up. We have to fight that feeling…with Unification Thought guiding our minds and Divine Principle inspiring our hearts to make the classical four-position foundation for success. As a Unificationist, I believe we can still reroute the future. But now that task is ever harder than just 10 or 20 years ago. And there’s no time like the present to begin. Somehow, we need to rally. All of us. Thanks for your article that reminds today’s members about Rev. 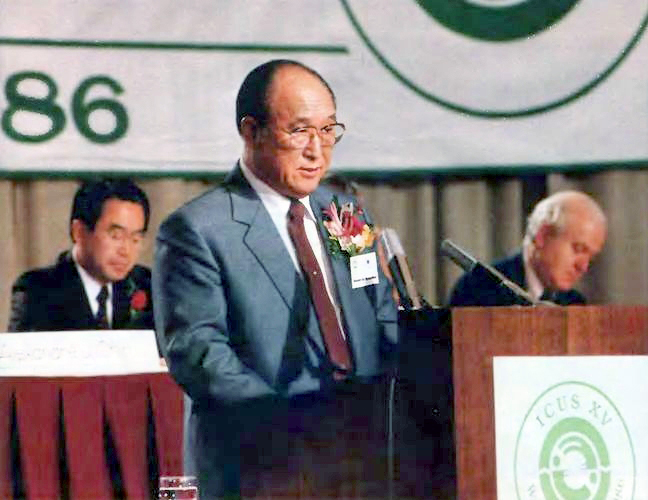 Moon’s efforts to establish a new culture of peace, and his activities among scientists, professors, and thought leaders. These conferences and other cultural activities made more of an impact than many members understood, because discussions were at a level that was hard to understand for church members without advanced degrees. Reverend Moon sent 36 graduates from UTS on to pursue a Ph.D. so that we could better communicate and work with these scholars. I was one of those students that joined the ICF staff in 1984, twelve years after you began with the first ICUS. 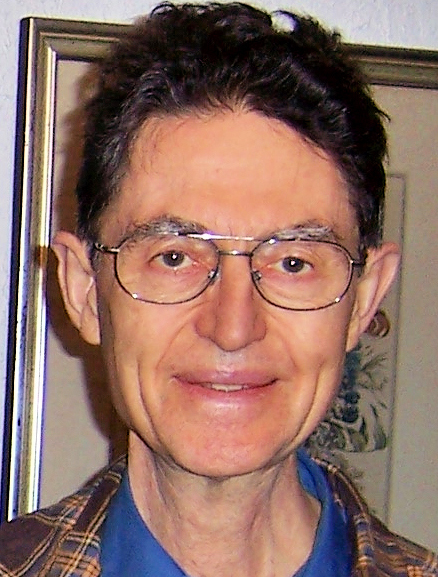 It was very sad that, just at the time funding was reduced, many of these scholars were “getting it.” Take for example, Tor Ragnar Gerholm, who switched his view over the years from “there is no such thing as absolute values” to actively promoting the idea of searching for absolute values in science. Then there were parallel activities in IRF, which was promoting Divine Principle to Christian theologians. I remember participating as a lecturer in a conference in Toronto where we had developed such a high level workshop that almost all participants were convinced of the power of the Divine Principle. Then we should not forget the impact of the Washington Times. The New World Encyclopedia was something Rev. Moon wanted for decades before it began to materialize. I never believed Rev. Moon purposely brought these activities to a close, just as they were beginning to make an impact on Western culture, but the main reason was a financial collapse in Japan where, following its economic collapse, the Unification financial “bubble” there burst, leaving the Japanese movement with huge debts. In 1989, our budget was reduced by 50%, and another 50% each of the following two years. I believe you can trace some of the division in the movement today to that time, due to these financial reasons, and the later rise of new church leadership that was never involved in these cultural activities or saw their value. For these younger leaders, Rev. Moon was mainly a religious leader, a founder of a church, or an employer, and salvation was saving individual souls. But Rev. Moon always believed the salvation of individuals and the transformation of culture went hand-in-hand. Most members in Korea were never connected much to the global providence. You can see in the autobiography, As A Peace-Loving Global Citizen, an emphasis on Rev. Moon forming the Unification Church and his thoughts about the unification of Korea and the role of Korea in the world. However, some of his main activities and strategies for transforming global culture by unifying knowledge during his life in the West are barely covered in that autobiography, and you would really need a second book to complete his biography. The division between faith and reason, emphasis on where money is spent, and even the way middle-level leaders seek job security through pleasing their immediate leaders all had an impact on cutting of funds for these expensive projects. Then-UC President Neil Salonen said that, in 1973, more was spent on ICUS than the entire American Church, indicating that Rev. Moon’s priorities were more in changing the world than building churches. My most basic response to that is: And so? Of course, the whole purpose ever supersedes and/or encompasses that of the individual, but can generations ever truly reconcile with the inevitability of simple, elegant and universal, change within the dynamic of that reality? Ah, but may the dreamers ever dream! Glenn, I wouldn’t take any of these intellectual turn-of-events too personally. If you’ll note, every project listed in your bio, above, no longer exists. Neither, in fact, do any of my bio projects. The truth be known, every member-centered UM project has a built-in shelf life, and each has a proponent, like yourself, lamenting the fact their project could have gone on to make a real difference in the world. It must all be an unfortunate coincidence, right? Or, could there actually be a reason for the constant churning of all UM projects over the years? Let’s assume the latter, Glenn. What do you think is the reason? I am not sure the money flow from Japan actually decreased as much as Gordon Anderson suggests. CP Lake must have cost hundreds of millions if not billions of dollars. I think priorities as to where available funds would go were changed. I believe there is another underlying reason why so many of the projects lost power and came to a halt. The UM often did not offer its solutions to specific problems in the world unconditionally. An unspoken expectation that through certain projects Rev. Moon would be recognized and accepted — if possible as the Messiah — was conveyed during many of the events. Two high-level participants told me this after their return from conferences. I believe gathering audiences so that Rev. Moon could speak to them often was given too much importance in the international conferences. The centrality of True Parents is only needed in the Holy Wedding Ceremonies; for other events, such as science, media and sports conferences, the purpose of the event itself should be central, not the promotion of any specific person, even though he/she is the Messiah. Thank you for sharing your views from the unique position you were in at the time. It is a wonderful service to the great majority of us who did not share your first-hand experiences in the ICUS conferences. The question of understanding why Father changed strategy in the 1990’s is probably best addressed to Korean elders who were closely working with Father at the time. Our movement seems to function like special interests and the US government. Given the staggering size of the national debt and unfunded liabilities, perhaps the splintering of our movement foreshadows the future of the country. The VOC, CAUSA, and Washington Times outreach centered on promoting a conservative message has sort of hybridized with the ACLC conferences to create a headwing identity that is less than clear. Evidence of this would be in the voting patterns among Unification Church leaders in the 2008 US presidential election. The rate of our children voting with their feet to leave the faith portends a much smaller movement in the future. The funding and Father’s charisma are no longer available to recreate the high level momentum to influence culture. Instead, we need to develop grass roots influence through our family traditions. It will be an unglamorous, slow process in comparison. If we fail to make such traditions, perhaps only the hope of spiritual works will remain. It’s just that this cultural movement is centered more on the issue of the relationship between a man and a woman. In view of this, I would say that the Renaissance of the movement to build an ideal world will involve teaching about and maintaining relationships of sexual purity and faithfulness within Blessed marriage. Teaching this has an immediate and profound effect on people’s lives. Check out this video testimony, for example. Perhaps because we are far away from the center of all those great Providential rises and falls, some of us “stalwart Unificationists” in the San Francisco Bay Area still feel in their hearts the “beacon of hope for creating a new world of God’s ideal,” and have endeavored to work together with like-minded individuals and groups to promote a culture of peace even in this time when peace seems so far off. Fortunately, here we have access to great interfaith leaders in the United Religions Initiative, and great humanitarian leaders in the United Nations Association of the East Bay. For five years we have put on an annual Peace Forum which has drawn hundreds of participants, and has brought those who have planned and carried out these events closer together in heart and thought. Thanks to my son, Jonathan, we have a website which explores in great detail the theme, the speakers, the workshops, and now simulations, that will make up the event. If anyone is interested in creating a Peace Forum in their area, please reply to this comment, and I will share what ideas and resources I can. Interesting and important discussions above. Yes, Mark, I’m interested to learn what you do with the peace forum. I believe the best way to save Father’s legacy is to again emphasize his message of becoming servants for peace with a parental heart. And I believe it’s our responsibility as Central Blessed Families to figure out how and the best way to do it. I don’t think Father ever changed his goals, even though his strategy varied. The real question is if members goals have changed?